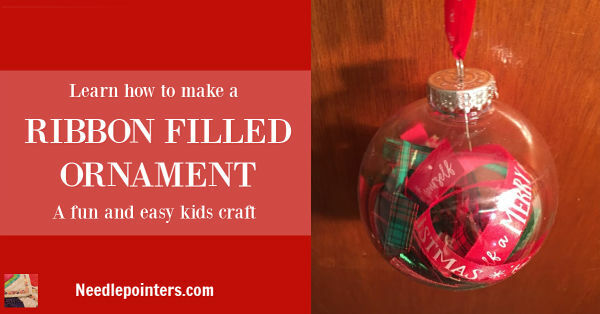 Do you want a simple holiday craft that your kids can made and give as gifts or hand on the tree? 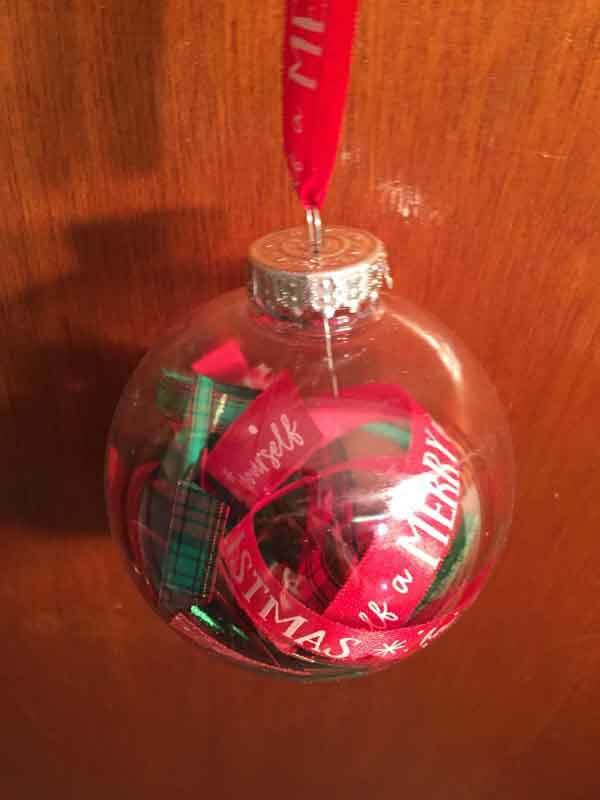 How about making cute ribbon filled ornaments like this example. The supplies can be purchased at a dollar store which makes this a really inexpensive project. 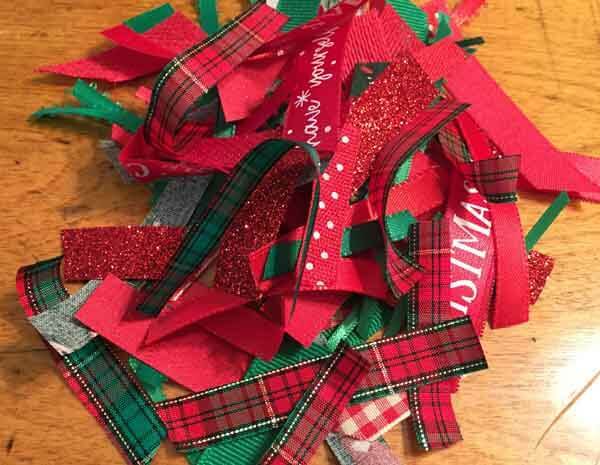 Watch this video and read on to learn how to make ribbon filled ornaments. 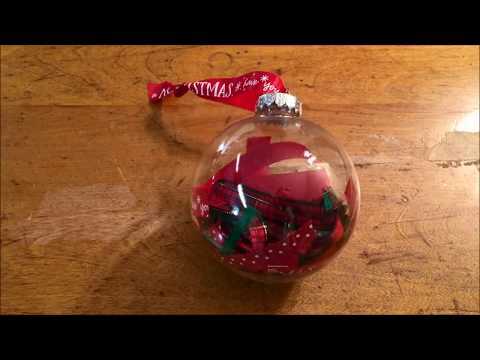 Click to watch the DIY Ribbon Filled Ornament (Dollar Store Craft) video in Youtube. - Remove the silver cap from the plastic ornament. 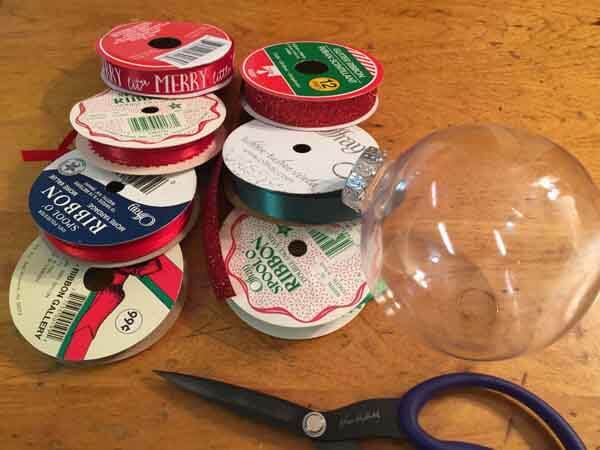 - Let the child begin stuffing the ornament with the ribbon pieces. Even little hands can do this. Let them fill the ornament as little or as much as they want. - Place the silver cap back on the ornament. - Tie a piece of ribbon on the top for a hanger. The ornament complete and ready to hang on the tree or give as a gift.